Our network of Cambridge photographers (UK) includes a wide range of full time skilled professional photographers who are all passionate about their work. Request a quote today and bag yourself a pro! Our photographers know their job, they are passionate and very good at what they do. Book our services today and get a friendly professional that will do the job at hand. We only charge for your photography coverage. And for express service, if you want your photos straight away after the shoot. Otherwise, there are no hidden costs, and because we work locally, there are no travel fees. Our photographers know the city and its venues (University colleges, hotels and wedding venues) like the back of their hand. They have extensive knowledge of the best places to shoot and are all Cambridge based. Note: We do not currently take passport photographs. Our Cambridge photographers are friendly and unobtrusive. Their experience allows them to understand most requirements and even offer advice to you. Great communication between the client and the photographer is key to a successful shoot. All of our wedding photographers in Cambridge are great people photographers. They are used to working with individuals as well groups, they are friendly professionals, and they will make you feel at ease. The location for portrait photography is always a very subjective one. We always prefer to come to you, to capture you and/or your family in your surroundings, or your nearest park. The reason being that you will most probably feel more at ease there, than anywhere else. Grantchester Meadows and Wimpole Hall are some of the most favoured locations around Cambridge. At the moment, we do not offer studio photography in Cambridge as we do not have one. We can, however, recommend one to you, just give us a call or send us an email and we will be happy to tell you the studio name. Even better if you mention we recommended them to you, you should get a discount. A portrait photography sitting will rarely go beyond 2 hours. That way, we can keep your level of interest high. That time is generally enough for us to get all the important shots. We are also happy to shoot engagement portraits before your wedding. Enquire about pricing when asking for your quote. In recent years, our Cambridge photographers have captured images at various events and been hired by local businesses: product launches, company opening parties, wine tastings, events at 12a Club and various restaurants, film premieres, garden parties, May balls, award dinners and ceremonies at Cambridge University colleges, private schools parties, birthday parties in Cambridge. We generally charge £100 for the first hour, £80 for the second hour, £70 for the third hour, and £50 for any subsequent hours for most events. Contact us to ask for a personal quote to photograph your event in Cambridge. Bear in mind that every job is different & conditions may apply. All images are provided subject to license. – Delivery of your images within 5 days. We have a fresh approach to photographing events, and we also have a brand new approach when it comes to selling our event photographs in Cambridge. At the end of your event, we are happy to put all your photos at your disposal in a gallery for you to download from, or sell directly to the people attending your event, but not at astronomical prices. You need to capture corporate headshots of you or your employees, in front of a white backdrop, or a particular backdrop at your premises? We can help you with. Just give us all the information necessary when you ask for a quote: How many employees to photograph? How many locations? Any specific information? Lifestyle portraits are needed by you or your company, for your website or a brochure, of employees posing in front of some greenery or a lab or any work environment, or anything you see fit? Contact us with your requirements and we will be able to give you a precise quote. You are organising an event in Cambridge and you want a photographer present to capture the crowd, the speakers, the engaged audience in their best light? Any possible speeches? A company Xmas or summer party? A product launching? An award ceremony? An anniversary? Some of our photographers are seasoned people photographers and will listen to your requirements to capture your event the best they can. Contact us today to book your date in our diary. You need a particular location photographed? A new building, some interior design, a garden project or even you want to create the timeline for a project month after month? Tell us about your requirements and we will photograph according to your wishes. We will often quote you on an hourly basis as it is easier to work out unless it’s a specialist job. Professional commercial photography is important for those needing to portray a positive image of their company or their products to attract their customers’ attention, thus making them stand out from their competition and generate more sales. Whatever your needs: Food photography, product photography or architecture photography, we are here to help. We always working concurrently with Web designers, marketing and PR agencies, UK businesses and international firms, the press, architects, hotels, different brands as well as design and advertising agencies. If you are a business in Cambridge, Cambridgeshire or East Anglia and if commercial photography is important to you or your company, we would love to speak to you and help you tailor our photography to your specific needs. Half day rate: £300 & Full day rate (8 hours): £475 – Contact us for more hours. For shoots further afield, in Cambridgeshire, East Anglia or London, travel fees, but also meals and accommodation fees may apply. All the photographs are uploaded to your online gallery a few days after the shoot. Express service @ £75 is available. We have many years experience in kids and children portrait photography in Cambridge. We prefer meeting you in your own home, or at a park nearby to photograph your child(ren) and family if needed, as pictures will always be more natural in familiar surroundings. Feel free to bring the family dog if you want, especially if it will help the kids relax. We also offer babies and newborns photography in Cambridge. Obviously this is a much more specialised field compared to children portraiture, but we have a lot of experience in that domain, and some of our photographers are parents themselves and know how to handle babies. We would most likely meet you at your house and bring all necessary backdrops and accessories needed with us. Some of our photographers have got years of experience in family portrait photography in Cambridge. Just talk to us regarding your requirements, and we will use your ideas in the best possible way. Please bear in mind that every family, child, baby is different and photography conditions will vary, depending on the weather, mood and many other factors, patience may be required. By choosing Cambridge Photographers Ltd to capture your wedding photography, you will get the value and quality that you desire and deserve. We have many years of experience in the wedding photography market. We can offer unbeatable prices for our level of expertise in the whole of the UK. Ask for a quote today! We offer whole wedding photography day in Cambridge and Cambridgeshire (from the bridal preparations to the disco) and the whole of the United Kingdom for an all inclusive price of £1,500. This is a very popular service amongst our couples at a very competitive price for such a level of expertise. We also offer hourly wedding photography coverage. All our Cambridge wedding photographers are seasoned people photographers, and know their way round Cambridge and its wedding venues. Not only can you be safe in the knowledge that you are booking a fab professional photographer who will cover all the key moments of your day, but you can also be sure that he knows his way round your venue. We often tend to recommend our very own founder Cambridge wedding photographer Jean-Luc Benazet to couples looking for great wedding photography coverage, he has been photographing weddings in the UK since 1998! We offer party photography in Cambridge and we can cover your whole party or just a few hours. You can choose to have a studio style photograph taken of each couple/guest as they arrive for an extra fee. Our photographers are used to capture these kind of events and will not disappoint you. Minimum coverage is 2 hours. All of our Cambridge photographers are great people photographers. They are used to capture parties & are friendly professionals, they will make you & your guests feel at ease. They can work with all ages: from children parties, any birthday parties, engagement parties & corporate Christmas parties, you name it! We only offer party photography in Cambridge and Cambridgeshire, that way we can keep prices down as travel is minimal. We offer competitive rates, and you will always know the full costs before we come to cover your party. Enquire about pricing when asking for your quote and make sure you outline the number of hours needed beforehand. Albums and USB flash drives can be purchased at an extra cost, please enquire when talking with your photographer. We can take pictures on commission for your website, and make it stand out online through the amazing images we can take for you. We are currently working with local businesses such as restaurants and pubs, e-commerce online shops, corporate & product websites, website designers & online marketing specialists. We will also provide you with great images of the city of Cambridge from our online stock photography image bank. We will work to your specifications. You need to showcase your products in the best possible light, and make them stand out, we can offer you photography on black or white backdrops, on location, we will meet you at your premises or the location of your choice and help you achieve that. Every job is different, and the costs will vary from one job to the next, but we will quote you so that we can achieve the best possible results and produce great images without spending too much time doing it. We may also be able to offer you a discount if we are able to use the name of your company for our own publicity. While we are happy to help with your website images, we would be delighted to produce pictures for all your marketing material, be it brochures, business cards, online galleries, business vehicles, etc. Let us know at the enquiry stage and we may even be able to incorporate it in our personalised quotation. In need of some quality food photography done for your restaurant, a university college, or a chef’s portfolio? Contact us and we will find the best photographer for your requirements. Some of our collaborators have taken pictures for Alimentum & DeLuca restaurants, and many Cambridge university feasts. Contact us today! Your parents or even yourself are celebrating a wedding anniversary or another anniversary!? Let us know the date and time of your party, and we will come and capture various natural and informal images of this family event. Book today! Getting married at the register office, and in need of only a few hours coverage, or on a low budget? We also cater for short wedding photography coverage. No job is too small. We will cover your 2 hours wedding with the same enthusiasm as a full day one! Your son or daughter just turned 21 and you want to capture the celebrations, or you want to be able to remember your or your partner’s big 30, 40, 50… celebrations. Or you need a photographer to cover your X-Mas party? Look no further. Book today! We love to photograph people, and events are generally what it’s all about. People interacting with each other. Our photographers have got an extensive experience of capturing events, be it a charity dinner, a conference, a garden party, an award dinner, or University May Balls, why not inquire with us for a fresher approach and capture of some of those events typical to our city. You’re organizing an event in Cambridge and you need someone to record what is happening in pictures? Contact us for a quote! We offer younger and older children photography in Cambridge so as to capture your children’s portraits for eternity in a fab series of photos, ask us for a quote and we should help you photograph those souvenirs while your family is still young. You need corporate photography taken, pictures of your staff, of a recent project or of your products, you need an event photographed, for a brochure, website or just for your records? Look no further, we have very experienced photographers in that domain. You’re graduating from Cambridge University, and you need us to capture graduation photography at the ceremony itself, or go on a tour of the city with you alone and/or your family, or we will meet you at home or at your hotel. Enquire today about our prices. If you need professional portrait pictures taken of you, because you need a new LinkedIn profile photo, for a dating website or even if you need a portfolio for work (actor, singer, etc) we will help you get amazing images. We will capture pictures of your family, children, baby or yourselves in Cambridge or at your residence. You can even change outfits. Just tell us which location you prefer us to cover and we will meet you there! You live in Cambridge or abroad, but still would like to have pictures of you and your partner captured alongside Cambridge’s most famous landmarks? Let us be creative and capture amazing photographs of you and your family. Contact us for a quote. Boat Dinners, May Balls, Conferences, Dinners, etc. Our photographers would be more than happy to help record all of those Cambridge traditions. You’ve just had a birth in the family, and would like to have a photo of your newborn while he/she is still tiny, contact us. We can also arrange to come and see you every 4 months for a year, during your baby’s first year, or just come and photograph your baby at any time. If you need some professional model photography taken of you, to start or update your portfolio, or you need a Z-card for your modelling career, we can help you create a great collection of images. Our photographers have got in depth knowledge of wedding photography. And they know all the venues in and around Cambridge, and are also familiar with East Anglia. Let us be your wedding photographers! You’re a couple or a family, and you want photos of you and your pet together, we will spend a couple of hours with you and capture lovely pictures for you to remember forever. Renewing your vows? Or just fancy treating yourself to a photo shoot with your partner in Cambridge? Look no further. We offer a shoot + digital files service for only £150 all in. You’re already married, and you want us to capture some couple photography for you, we will spend a one hour and a half with you and photograph you and your partner together in and around Cambridge city centre. You need pictures or stock photographs of our beautiful city, for a brochure, your website or event to illustrate a Christmas card? Talk to us whether you need a commission or a stock photograph from our archives. Have you ever considered gifting a photography session? It cannot be simpler… Just purchase a Cambridge photography gift voucher from us (three different values are available) and we will send you your printable voucher by email or by post. The recipient of the voucher can then contact us at their convenience to organise the photoshoot. The vouchers are valid for a duration of 18 months. For that price, the person you buy the vouchers for, gets to spend the time booked with one of our photographers, then after the shoot they get to keep all the photos shot on the day that made it past the post-processing stage, and they get an online gallery and they will be free to download any image they want from it. Let us know if you would like to purchase a gift voucher from us, click here. Engagement portraits and couple photography in Cambridge are extremely popular these days. Why not buy a gift voucher for your other half towards a photo shoot in town for their birthday, or book directly a “couple package” with us. You may also be thinking of capturing your wedding proposal, or celebrate your engagement with a photo shoot and use the images on your “save the date” cards! Also, a lot of couples booking us for their wedding photography coverage decide to have an engagement portrait photography session in Cambridge before we photograph their wedding, in order to get used to us taking pictures of them and indulge in a relaxed photo shoot where they will be the centre of attention! We also get many requests from the American bases scattered around Cambridge, as often a couple would marry quickly in the US before the newly married husband is deployed to the UK, and the couple would not see each other for up to 6 months. They would then meet again in Cambridge, and often decide to have a Cambridge couple photography session to affirm their relationship. Also, many past students from Cambridge University chose to have their engagement portrait photography in Cambridge, as they are getting married abroad but often met the bride-to-be in the University city. Enquire today about our couple photography. Why not book one of our Cambridge family portraits photo sessions for your children or family in Grantchester Meadows, Wimpole Hall, Anglesey Abbey, Cambridge city centre, Jesus Green or even close to where you live with one of our photographers? Book one of our “Cambridge family portraits” session and you get to keep all the photos taken during that time that make it past the post-processing stage. We deliver the pictures to you in a digital form in an online gallery, for you to look at or download images from (for free). A typical Cambridge family portraits shoot will see one of our photographers meet you at a pre-arranged location (we are also happy to meet you at any National Trust venue around Cambridge, as some of our photographers are members). We understand that it is not easy to be at ease straight away, so there would be a few minutes chatting to know who everyone is and to get to know what kind of photos you would like taken. When taking pictures with young children, patience is of the essence, and we take that into account in our timings as well. The idea would be to take pictures of the location and try and use it to its maximum potential, be it lovely flowers in the background, a water feature or even a rec. Anything that helps the child(ren) interact with their environment would be great. When shooting with young children, it is also essential that the adults and older children present (if any) are ready to look at the camera and smile when directed to do so when the younger person is in a prime spot and looks at the camera. The time span of younger children is notoriously short, and hence we need to be prepared. Looking forward to seeing you on one of our portrait photography sessions! 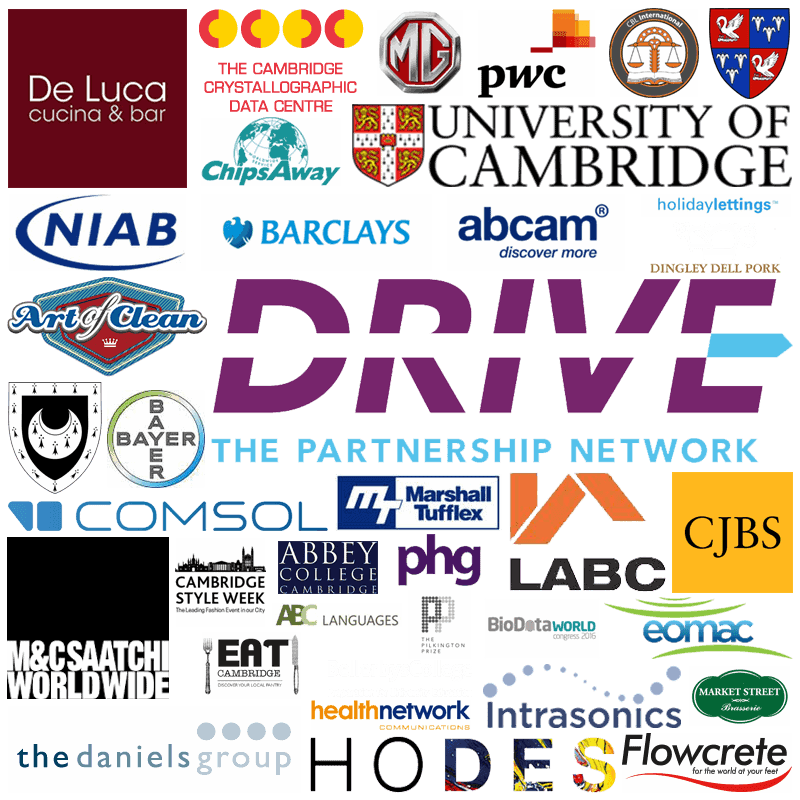 You are organising an event in Cambridge and you need it captured on camera? Be it an award-dinner, a conference, an award ceremony, an anniversary, a company summer day or Christmas party, a product launch, a business dinner, etc. Look no further, we have many photographers who excel at capturing your guests and speakers in the best possible light. We will work within your photography brief and your event timings, capture all the delegates & event guests in various poses and if possible we will position speakers, delegates and brand together in the same frame and we will aim to make the event look busy & visually attractive. Moreover, we will take photographs of people having a good time. Contact us today to let us know if you are in need of some Cambridge event photography and we will quote you when we know about the job in hand and the length of your event photography coverage. You can also call us on 01223 927172. PS. We can also recommend a great videographer if you need your event on video too. You (or your company) are in need of much needed Cambridge corporate photography? Be it corporate headshots or lifestyle portraits of you or one of your employees… We can help you with that request. Our photographers excel in the art of capturing people and portraits and the corporate world is no exception. We will bring our studio lights with us and we will capture the best corporate portraits we can for you. Make sure you tell us about your requirements beforehand so that we know what is needed. If you are looking to have an event or a conference covered in Cambridge or the local area, let us know or check our events page. In need of some Cambridge corporate photography? We will quote you when we know more about the job, click here to send us a message or call us on 01223 927172. You need Cambridge wedding photography coverage to capture your big day? Look no further! Our main wedding photographer has got more than 20 years of experience in wedding photography in Cambridge and elsewhere. Our wedding photographers are creative, unobtrusive and friendly, they know their art and will cover your wedding day very efficiently and yet very discreetly. Our 2019/20 Price List is very popular, we offer one hour and two hours packages for register office weddings, as well as three packages for bigger weddings: from the ceremony to the wedding breakfast, from the ceremony to the disco and from the bridal preparations to the disco. After the wedding, we will give you an online gallery for you and your guests to download images free of charge. We also offer albums, please enquire when you meet your photographer for your online consultation. We have already covered most wedding venues in Cambridge and Cambridgeshire. We photograph at least one wedding a month at Cambridge Register Office in Shire Hall throughout the year, and we have taken photographs in every single college of Cambridge University. We also are very familiar with Anstey Hall, Hotel Felix, The Babraham Institute, and further afield The Old Hall in Ely and The Jockey Club Rooms in Newmarket. Book your big day with us with confidence, and you will love your images. We also tend to give you more images than most of our competitors and your online gallery will have free downloads for you and your guests, which means you can all enjoy the day while we capture it ourselves. Enquire today about your Cambridge wedding photography coverage and book your wedding date in our diary. Our clients are very happy with our work and services, and they tell us about it. We hope that the few testimonials below will make you want to contact and book us today! We had a great day out for a family photo shoot. (I bought a voucher for my wife for mother’s day) Great photos and great value… You get ALL the photos electronically at the end (which was about 200 in our case). Easy to arrange where / when we wanted to do the shoot. Also have to say the follow-up and support were amazing! Any questions were answered really quickly. Very user friendly, easy to book, turned up on time, took great informal photos of whole party and some posed ones of different groups I specially wanted. Send a USB stick as well as a link to complete set as requested. What’s not to like? I used Cambridge Photographers as they were top of Google for that very keyword, and they proved to be top guys in a lot of domains! From answering my enquiry within 5 minutes of sending it, to the way they liaised with me throughout the booking process, before the event, and afterwards. Their photographer was a very friendly guy, and he took amazing photographs at my event. I would highly recommend them to anyone needing people photography in Cambridge. The photos are fantastic! They’re exactly what I wanted, thank you so much! We were thrilled with our photographs. You were so easy to work with and know exactly the style were we looking for. You were very unobtrusive on the day but managed to capture everything. Your easy going nature kept us both very relaxed. The pictures captured our big day perfectly. Thank you so much! We wanted a natural and un-staged feel to the photographs, they achieved this and exceeded our expectations. They even managed to overcome the typical British weather, providing us with a wide range of wonderful images! Clare & Tom ScottAlways happy to help! They are reliable, friendly and professional photographers who were great work with. Nothing was too much trouble for them. They knew exactly what was needed to get the best shots but without being intrusive on our special day. Book your professional photographer in Cambridge today, you will love the images we will take for you. Fill out the form below to ask for an exclusive quote. We will then look for the best element amongst our Cambridge photographers to match your requirements.